Home Blog Apple Mac Which 13" Mac ? Not an easy decision as the there is a 13″ MacBook Pro, a 13″ MacBook Pro with Retina, and a 13″ Air – Which do you choose ? Maybe this will help ? 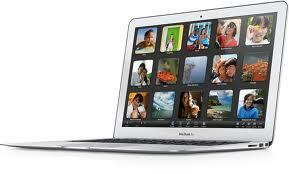 THE 13-INCH MACBOOK AIR – The MacBook Air is the ultimate everyday notebook. It features the latest Intel processors with flash storage that is up to four times faster than a traditional hard drive and it is all packed into an incredibly thin and light notebook. Everything you do will feel speedy and effortless. Faster than previous models both in terms of processor, ram and storage the new MacBook Air 13-inch is standard with 1.8GHz dual-core Intel Core i5 (Turbo Boost up to 2.8GHz) And starts at only £8.95 + VAT per week. 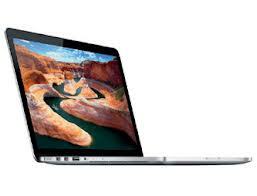 The new integrated Intel HD Graphics 4000 is up to 60 per cent faster and gives the MacBook Air plenty of power. The most popular model to lease is the 2.0GHz i7 CPU which adds only £1.15 + VAT per week to the 256GB flash model. The MacBook Air was always considered to have inferior specs compared to the MacBook Pro, however the new MacBook Pro 13” may have changed that. Faster than previous models both in terms of processor, ram and storage the new MacBook Air 13-inch is standard with 1.8GHz dual-core Intel Core i5 (Turbo Boost up to 2.8GHz… starting at £9.80 + VAT per week on lease) but our most popular model to lease is the 2.0GHz i7 CPU. The new integrated Intel HD Graphics 4000 is up to 60 percent faster and gives the MacBook Air plenty of power. All 13-inch MacBook Air supplied on lease include three years warranty that includes a loan Mac whilst yours is away for repair. Previously you knew that when you bought a MacBook Pro that you were guaranteed it would be suitable for even the most demanding of professions, and though Apple goes some way in doing that, the 13-inch does fall short of previous expectations of the Pro range. For example, you can happily photo edit, however operations like high-res video editing or playing games just are not as practical. The MacBook Pro is a superb piece of equipment, it puts in very little effort when dealing with day-to-day tasks and is light-enough to take on the road, however, put the pressure on and it struggles.It has four times the pixels of the current generation 13-inch MacBook Pro (Retina display with over 4 million pixels), ultra-fast flash storage, and a choice of dual-core Intel processors. Thunderbolt ports offer the fastest, most flexible I/O available plus two USB 3 ports. Its text is razor sharp and images are crisp with a 178-degree viewing angle (nearly two times the resolution of an HDTV). However, this new compact MacBook Pro has lost a couple of things; the removal of its DVD drive for a start (though you can still get an optional DVD drive to plug in). TO SUMMARISE – The 13-inch MacBook Air is just SO good it really does not help the 13-inch MacBook Pro story. The MacBook Pro is a tubbier and heavier device than the MacBook Air and does not really give you anything over and above what the MacBook Air delivers. If you want more from the MacBook Pro and some real power then you probably want the larger 15-inch model, and as it is literally the same price as an upgraded 13-inch (though less portable), that is a very attractive option. The point is, the 13-inch MacBook Pro with Retina display is delightful, but it’s not more delightful than the MacBook Air 13-inch as it will struggle with heavy work; and the larger 15-inch MacBook Pro out-does it considerably for very little extra cost. The MacBook Pro 13-inch is ideal for those with light needs or a tight budget, or for those wanting another portable machine. If you want that little extra performance and a very portable machine, then you probably want the MacBook Air. HardSoft are an Approved Apple stockist and have many years of experience being established in 1984. HardSoft specialise in computer leasing (we dont sell them we just lease them) for Macs (and PC’s). Leasing computers from HardSoft has numerous benefits…….